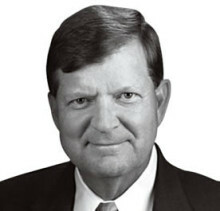 Duane Knapp has served on dozens of organizations’ boards of directors, including Annika, Inc., American University in the Emirates (AUE), Federated Western Properties, Inc., and is director emeritus of Longs Drug Stores (now CVS), and has held a variety of senior executive positions, including chief executive officer, president, executive vice president, vice president of corporate marketing, vice president of corporate development and corporate strategist at public and private companies. These include Westin Hotels (Westin Enterprises and Discoveries retail stores and catalogs), Holiday Corporation (Holiday Inn and Holiday Clubs, Perkins Family Restaurants), The Promus Companies (Embassy Suites, Residence Inn, Hampton Inn, Homewood Suites and Harrah’s Casinos) and Cinnabon World Famous Cinnamon Rolls. He advises leading law firms relating to high-profile brand and intellectual property matters and has specific expertise in the fields of travel and hospitality, food and beverage products, restaurants, retailing, health care, financial services and real estate development. He has taught and lectured widely at univiersities and graduate schools throughout the United States, including Vanderbilt, Stanford, the University of California, the University of Colorado at Boulder and Seattle University. Mr. Knapp is the leading keynote speaker on the subject of building Genuine Brands. He has been published, quoted or featured in hundreds of publications, including BusinessWeek, Brandweek, CFO Magazine, Association Management, Marketing, Washington CEO, Bankers Magazine, Fortune Magazine and International Journal of Medical Marketing as well as The Seattle Times, The Journal of Commerce and many private corporate and association publications, plus television and radio talk shows. He is the author of several books including “The BrandPromise” and “The BrandMindset,” published by McGraw-Hill, “Global Destination BrandScience” and “Destination BrandScience.” His newest book, “Global Destination BrandScience” outlines how a successful destination strategy goes beyond the tourism aspect; it becomes a focal point for the entire community when making strategic decisions regarding economic opportunity. The “BrandMindset” book was selected by IBM and American Express as the “must read” book for their top 400 executives. It is available in seven languages and is considered the definitive guide to building Genuine Brands. Do you want to hire Duane Knapp? Directly request a quote. In 48 hours we can send you the availability of Duane Knapp If you would like to book Duane Knapp, Entertainment Booking Agency is the right place. We will offer you the best price and contact the management or we directly contact Duane Knapp. For corporate appearances or speaking engagements you can contact our agents and the will help you true the process. Tags: hire Duane Knapp, Duane Knapp booking, book Duane Knapp, Duane Knapp appearances, find more information on booking Duane Knapp for appearances, Duane Knapp speaking engagements, Duane Knapp endorsements/spokesperson, Duane Knapp appearance fees, Duane Knapp booking agency contact info, biography of Duane Knapp, Contact an artist booking talent agent find a speakers bureau that can book Duane Knapp, speaker booking agency for Duane Knapp, Duane Knapp booking agency, Duane Knapp booking for corporate event. EBA is one of the biggest entertainment booking agencies in the World. We book hundreds of celebrities, artist, athletes and speakers in a year. Important to know is that we are not claiming to be the management of Duane Knapp. We are not the official agent for Duane Knapp. Companies from around the globe book these artists and speakers true our company be course we have one of the biggest networks and we always have direct contact with the artist or the management. We help you to find the right celebrities for your corporate of private events. Please contact one of our agents to get free advice and we will help to get the world-famous artist on your party. « Dr. William B. Conerly, Ph.D.